Electric cars might be the enemy of some, but not Captain Slow himself. 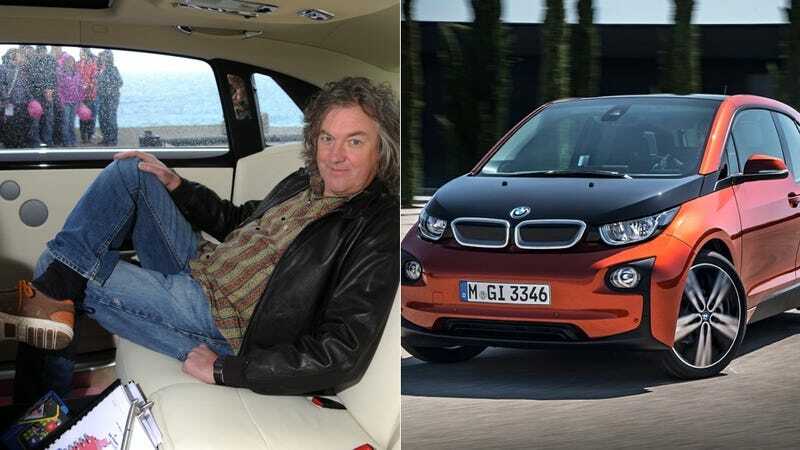 James May is going to buy a BMW i3. And hell hasn't frozen over. May has long been a proponent of the electric motor as the ideal way to power cars, but the issue has been keeping those batteries charged. May's i3 will be the range-extended version so it's not a true "electric car." This is still a huge jump for the TV presenter, especially after all of the negative stories the Top Gear team has given the GeeWhiz electric and other range-limited cars in the past. It'll be interesting to see how the rest of team reacts to James putting down his cash for an electric car (that isn't the TG-approved hyper cool BMW i8) considering most of them drink gasoline for breakfast. Just wait till Jeremy steals it for a track test.